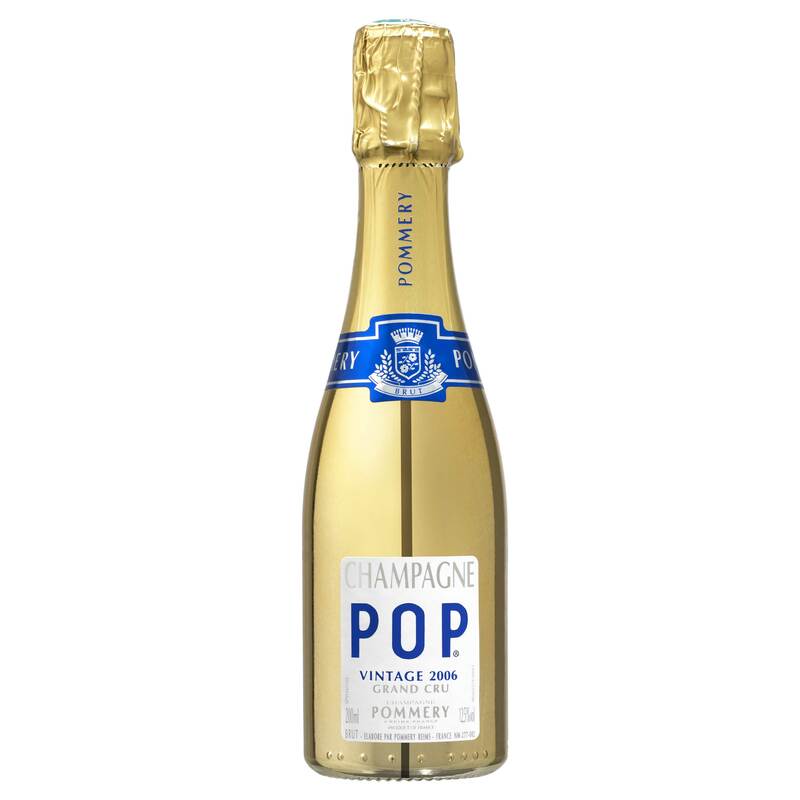 POP stands for Product of Pommery and is a range of Extra Dry Champagne (slightly sweeter) under a lower pressure in 20cl bottles with real corks designed to be consumed from the bottle with a straw. Pommery Pop miniature brut champagne is lively and fresh, golden in colour with a delicate hint of green. The POP mini was Created on the eve of the Great Depression of 1929 and at the initiative of Melchior de Polignac, son of Louise and the chairman of Pommery Champagnes, the first quarter-litre of champagne was created. A great hunter, he invented it so the champagne could be carried around. His creation helped the company to get through the Great Depression by selling smaller bottles. Pommery Pop Gold Edition contains Pommery vintage brut Champagne. The bottle has a mirror-like gold finish. The Champagne is full-bodied and smooth on the palate with hints of freshly baked pastry. The finish is medium in length.